Hello everyone! We just wanted to make an announcement to let everyone know that we will be closing down for a few days during the week of July 4th. We’ve been working tirelessly since last year with no real breaks so we are taking some time off to recharge and work on some projects that we’ve been putting off for a while here (personal and TH3D projects). That being said we will be closing down July 4th and re-opening on July 9th (Monday). Orders will not start shipping until July 9th if they are placed after July 3rd and they will ship in the order they were received. Our support will be closed as well during this time as we are also giving our other guys some time off to recharge and refresh. We appreciate all your support and June 2018 officially marks the 1 year for us when we started selling our first product, the EZABL kit. We’ve since expanded to over 50 different products and love that we can make things easier for our customers and the 3D printing community. We are looking forward to a great 2018 and lots of new things to come! 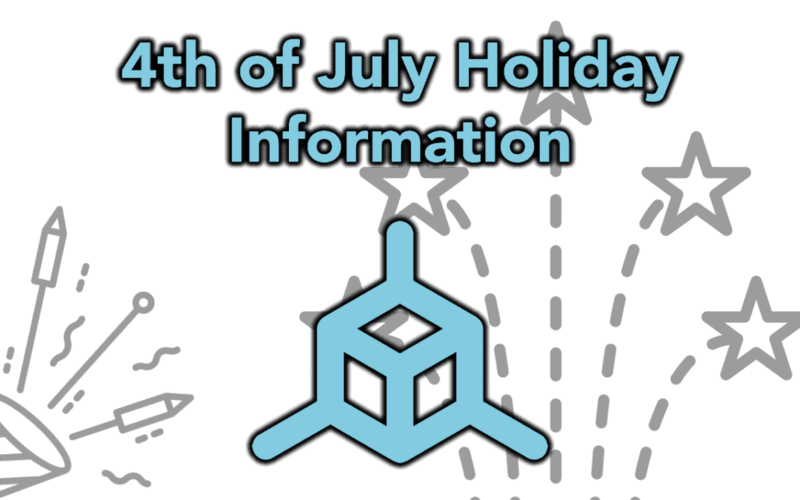 We hope you get some time off as well and stay safe during your 4th of July celebrations (for our US customers anyways).